Increasingly we who love this United States of America and the Constitution are alarmed at the sickness prevailing in today's Democrat party with its extreme leftism, globalism, identity politics and open borders that threaten our future. What we are witnessing now is what George Orwell foresaw in his dystopian world to come. But what he envisaged in his dread 1984 novel was in reality not new, but rather a return to what had prevailed in earlier centuries. It seems that history is repeating itself, but has reached a new low. During the early to late medieval era the omnipotent Kings and Queens lived their lives surrounded by fawning sycophants and protected by mercenary armies. They ruled and owned vast lands, but the people who served them lived in a very different world indeed. For centuries royalty signed treaties, forged alliances, wrote laws, made war, and made peace. And this continued without the consent of untold millions of people, especially in Europe, whose lives were often adversely impacted by those unilateral decisions. And then in 1776, a mere 242 years ago, came the Declaration of Independence signed by a new nation that arose with a divinely inspired document that challenged directly the assumed power of a king. It did so by abolishing the very status of royalty itself. The Constitution secured and protected the Natural Law Rights and sovereignty of each individual by limiting the authority and power of a centralized government. For years that was our America. But what of it now? We have every reason to be petrified by what a far left Democrat party wishes for the nation. Leftist politics are disinterring the corpses of socialism and Marxism along with the hate filled ideologies we had thought were blessedly gone from our world. Socialism is being embraced by students in our schools and colleges without any knowledge of the horrors it has produced. 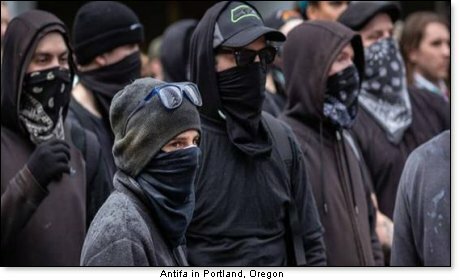 We now have the specter of Marxism and fascism with all the mob violence that we see in our streets as the masked thugs of antifa run amok in Portland, Oregon claiming to be anti-fascist but employing all the violence that were the hallmarks of Hitler's brown shirts and Mussolini's black shirts. The destroyers of democracy – the enemy within – are here and now in the streets of our Republic and in the mainstream media. We witnessed the horror of the Democrat elite displaying inappropriate attacks upon now Justice Kavanaugh during his Senate hearings. We saw how the Democrats now declare the accused are guilty until proven innocent: A reversal of our justice system where the accused is innocent until proven guilty. The shrill irrational screeching of Democrats exemplifies all that is wrong with leftist politics. And our future is dire indeed if the coming mid-term election goes in favor of a significant Democrat victory. It will be victorious for them, but a calamitous defeat for America. What if Republicans do not come out in vast numbers to save the Republic? Well, too many ignorant young people – who have been indoctrinated from kindergarten to College – will parrot the socialist ideas they have absorbed as they traveled along the socialist conveyor belt that has become Public Education. They will praise abortion, they will believe in man-made global warming and climate change despite evidence to the contrary. They will call to tax the rich and urge socialist tax theft and redistribution of wealth. They will support Islamic supremacy and sharia law without understanding its horrors, and they will promote atheism while urging yet more illegal alien immigration. Dustin Koellhoffer wrote about the misguided new socialists in an article dated October 5, 2018 and published by iPatriot: "Everything they believe in is a lie, but they are not willing to hear the truth. The sickness of the anti-civilization ideology of the left has made them into ignorant young people who have not been educated, are easily duped into believing whatever they are told, and Democrats deceive them with their lies while the young fools follow them blindly like the Pied Piper of Hamlin." 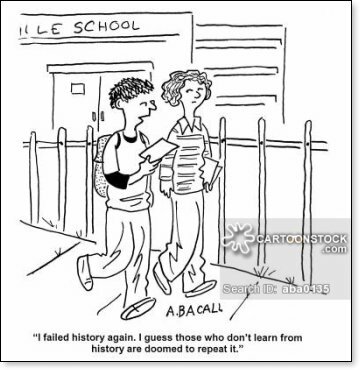 In the Public School system today, students are no longer taught the history of the Cold War, or of how the Soviet Union was a clear example of the failures of Socialism and Communism. They are not taught about the abject failures of centrally managed economies. They are not taught of how young students once lived with the threat of nuclear war every day and rejoiced as Soviet citizens fled to freedom in the West. Staring our students in the face today is the example of Venezuela – a once wealthy oil rich Central American dynamo – which now endures a socialist dictatorship with its people reduced to abject poverty. The left wing mainstream media, however, refuses to report on Venezuela's financial collapse and the resulting humanitarian crisis, so there is no factual example to contradict the collectivist one-world view preached by Common Core to our students. Outright censorship of free speech on college campuses, in all media outlets, and on the internet, is increasingly the rule today. That this blight upon freedom of speech, this un-American outrage, has become the norm on college campuses is Orwell's nightmare come true. The rule of law is ignored unless it supports the collectivist agenda. Verbal bullying of conservatives in public places, along with tolerance and encouragement of violence against them, mirror the tactics of the Nazi Fascists as they seized power in Germany during the 1930s. 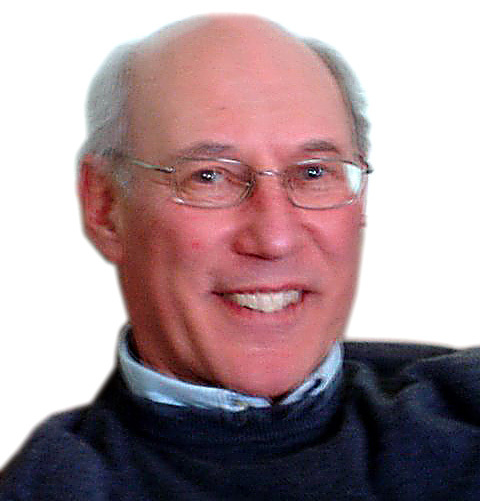 Victor Sharpe is a freelance writer and author of several published books including the acclaimed four volume, Politicide, a history of the Islamic threat to the West, Israel and Judeo-Christian civilization.